After sitting for an hour with Kerry Hanan and Kim Koleos Dionisio, two of the four partners in the Swami Juice business, I couldn’t help but rattle on about my own passion for clean, earthy eating. Ever since living in Italy, I have come to love simplicity in food (and things I put on my skin). Olive oil over farro salad, and as a moisturizer, anyone? There is more behind the Swami Juice brand than you might realize, and much of it is built around a commitment to simplicity. Quality tends to follow simplicity, which is often correlated with a purity of ingredients, as they have fewer masks like preservatives and fillers to hide behind. 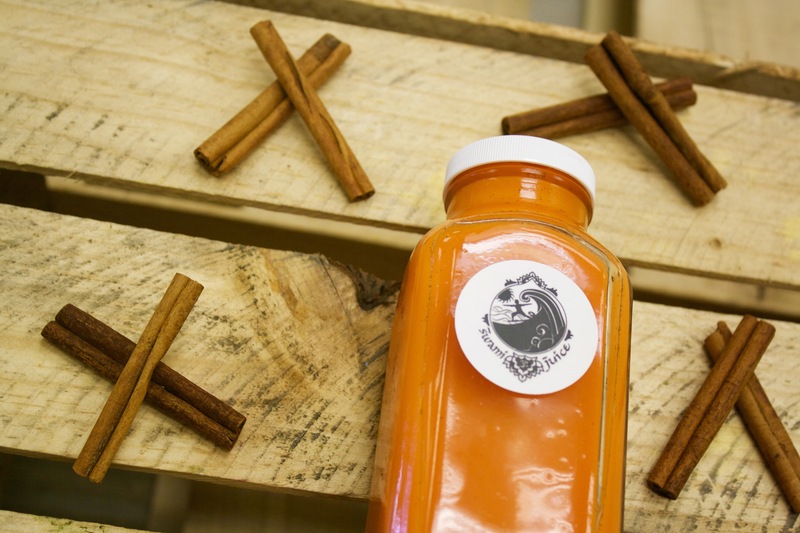 As the smallest stall in Heights Public Market, there is less aisle frontage for these cold-pressed juices, but they pack a heavy punch of nutrition and body-beautiful fuel. As I learned, there is a notable difference between centrifugal juicing and press juicing. The latter whips produce and herbs around rapidly to extract juice (via gravity), but tends to heat up the matter and resulting juice, as well as let tiny bits of oxygen in, neither of which help preserve the vitamins, minerals, and nutrients we’re after by juicing in the first place. Cold-pressed juicing is more precise, using hydraulic plates that slowly compact the fruits and vegetables until they are just leftover pulp, for maximum juice extraction and nutrient retention. It’s also why these sorts of juices tend to be pricier at the end, vs. juices you find at the supermarket. Those juices may sit on shelves for weeks, and thus must be subjected to high-pressure pascalization, so they remain safe to consume long after they are produced. Swami’s juices are precious, fragile containers of nutritional liquid gold. Each bottle contains seven to nine servings of fruits, vegetables, and herbs, and has a functional life from juicing to consumption of only four days. While I was listening to the story of Swami, I enjoyed Yo Greens, a refreshing combination of zesty flavors like ginger and lemon and less thrilling but highly prudent “superfoods” like kale and celery. In relation to skincare, I have been learning more about antioxidants like turmeric, cinnamon, and parsley, which have some of the most beneficial properties. Antioxidants help prevent or slow cell damage, which can in turn assist in slowing aging and preventing sickness. 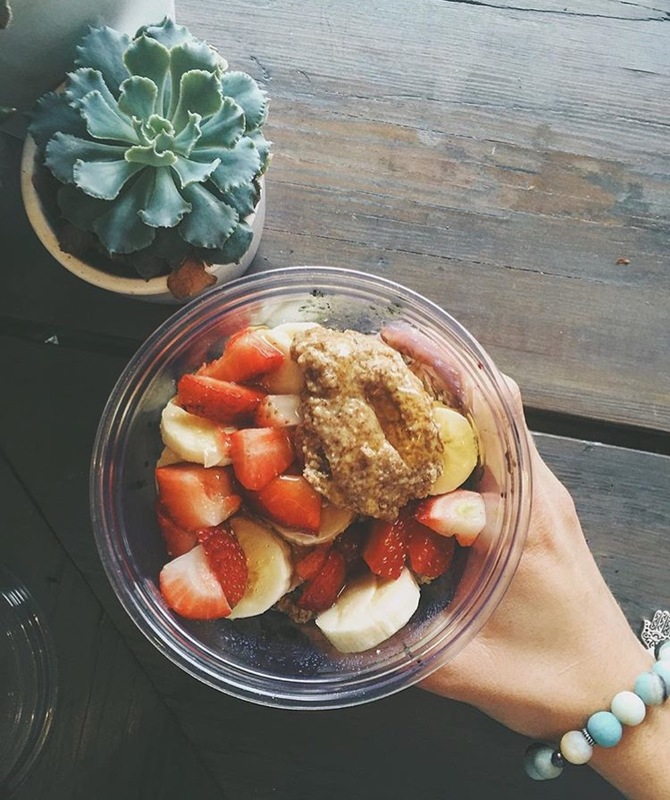 Potent ingredients are central to the Swami philosophy, and so it was natural that they add açaí to the mix, itself one of the most antioxidant-rich plants in the world. Primarily from Brazil, it produces dark red-purple berries that are naturally very bitter, hence their traditional blending with more flavorful and familiar taste profiles like blueberry, strawberry, and banana into bowls, which are designed for breakfast or midday snack consumption. Açaí not consumed in South America necessitates freezing for transport, as its natural shelf life can be as little as a single day before it turns. It is one of the few ingredients that Swami doesn’t get locally. I was fascinated to learn that much of the organic produce that Swami uses in its Tampa stores (here at Armature Works and two in Palma Ceia, one of which is at Kodawari yoga studio) is grown in Sarasota by Albert’s Organics. Closer to home, off Interbay Boulevard, the juicer works with South Tampa Farm to source its raw honey and beet kvass. Little did I know, the farm has been in operation for nearly 40 years, cultivating raw dairy products, eggs, pork, and beef. Swami gets ingredients from the farm, presses them, and then in a neatly circular fashion, returns the leftover fruit and veggie pulp to the farm, which is fed to their livestock for its fiber content. Because the juices they sell are unprocessed and lack preservatives, they are carefully governed by the Department of Agriculture, which requires that they certify the juice has never been over 42°. Perhaps the future will include more micro-locations like the one at Heights Public Market, with less square footage but an ability to control the product handling. 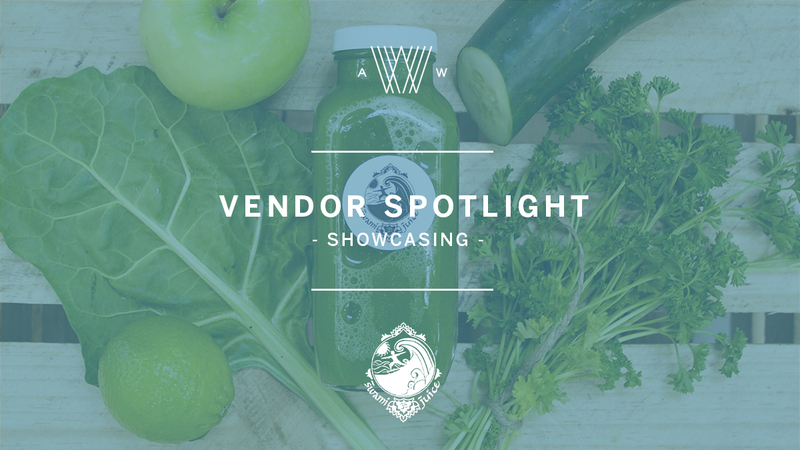 Aside from superfoods and antioxidants, Swami keeps things fresh by experimenting with seasonal flavors and ingredients, like acorn squash last fall (“Harvest Moon”), and activated charcoal (“Dirty Pirate”), which was developed in partnership with local entrepreneur Lisa Smith around the Gasparilla season. Smith’s Miracoal brand is marketed as a hangover relief, which pairs well with hydrating juices Swami knows all about. I asked them to look into more smoothie options, as many smoothie-focused brands are actually quite unhealthy (too much sugar, not enough nutrition). I love a bit of fiber and protein in my healthful beverages, since I am always in the gym trying to tone and perfect, not necessarily cleanse. 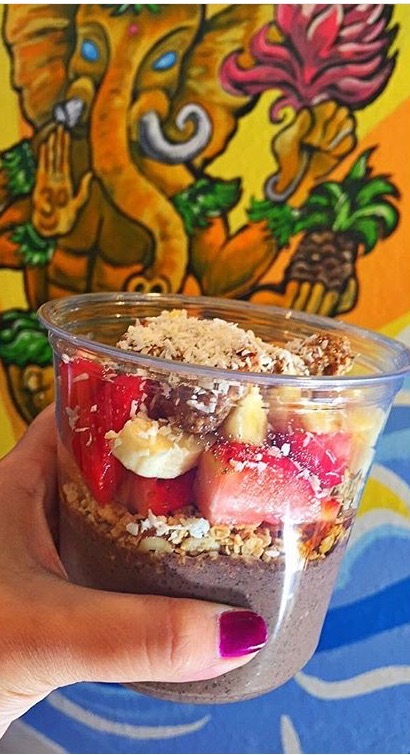 They already offer the “Point Break,” a smoothie with hemp, flax seed, and raw honey. They also work caffeine into some items, using brewed tea or cold-brewed coffee. Between three stores in Tampa and three in South Florida (Boca Raton, Plantation, and Sunrise), Dave, Kim, Kerry, and Noah are taking their time to thoughtfully approach growth. And why not? They all have day jobs and aren’t in it to be the next Dunkin Donuts. All of us at Armature Works respect their commitment to the product, and find that they echo so many of the other Heights Public Market vendors in their passion for quality.